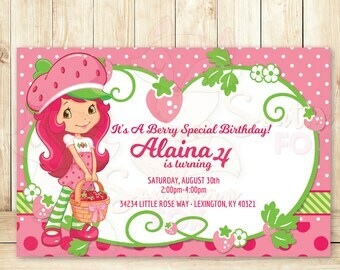 Strawberry Shortcake inspired birthday photo thank you card, digital, printable, custom, photo card, etc. 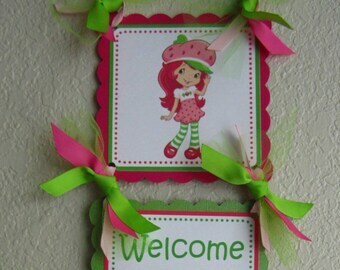 Strawberry Shortcake Thank You Tag, Strawberry Shortcake DIY Thank You Tag, Shortcake Favor Tag, Strawberry Printable, Digital File. 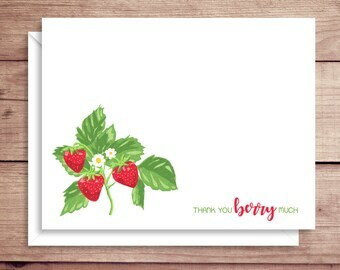 StrawberriesThemed Printable Birthday Thank You Cards! 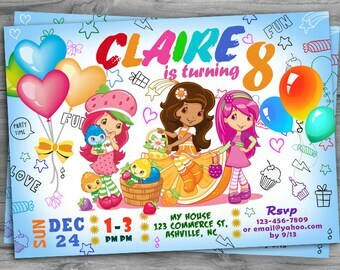 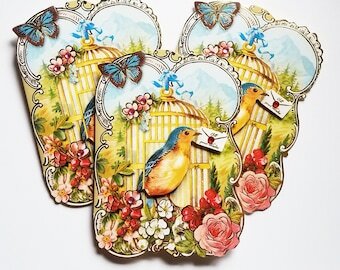 4x6 or 5x7 with Customized Text Perfect for Any Birthday!